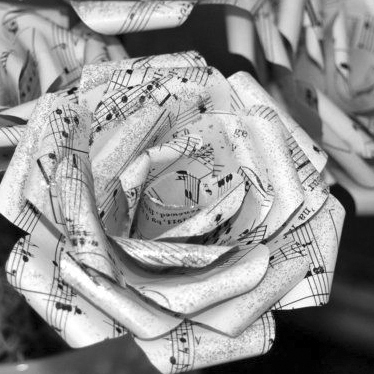 Create your own bouquet out of recycled sheet music. Bring a sharp pair of scissors and a hot glue gun (if you have one) to this fun, easy craft. All other materials provided. This craft is not messy. Registration is required.